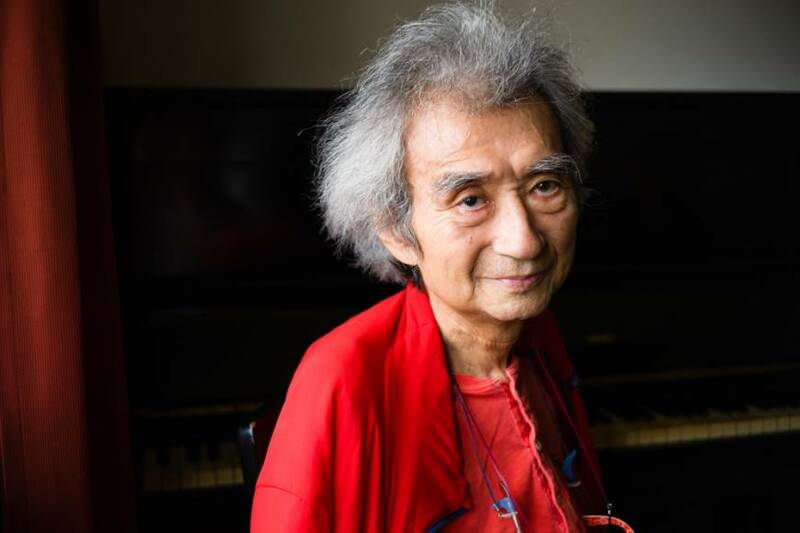 GENEVA--Internationally renowned conductor Seiji Ozawa expressed his desire to hold performances in China, saying the strained relations between Tokyo and Beijing should not affect private-level exchanges. Ozawa was born in what is now Shenyang in northeastern China and spent his childhood in Beijing. In 2011, health reasons forced him to give up conducting the first Chinese tour of the Saito Kinen Festival Matsumoto, an annual classical music event held in Matsumoto, Nagano Prefecture. Ozawa is founder and director of the festival. Japan's Seiji Ozawa, one of the best-known conductors of his generation, said yesterday he had recovered from health problems including cancer and that his plans for the future included conducting an opera next year. Ozawa, 78, was diagnosed with esophageal cancer in January 2010, underwent lower back surgery a year later and suffered multiple bouts of pneumonia, which kept him mostly sidelined until mid-2013. He then made a triumphant return by directing an opera at the Saito Kinen Festival, a music extravaganza that he founded 23 years ago in the Japanese city of Matsumoto. Yesterday, Ozawa welcomed the announcement that the festival would be renamed the Seiji Ozawa Matsumoto Festival. "I'm really grateful," he said, contrasting the gesture to having a rehearsal hall named for him in the United States in 1994, when the idea struck him as being "a little bit like a tombstone". "That somebody like me, who has suffered a major illness and underwent surgery, can speak casually about death is proof that I've really recovered," he said. "Either that, or I'm really dumb - but please think of me as being recovered and active." Ozawa, a former conductor at the Boston Symphony Orchestra and Vienna State Opera, will direct a concert at the Matsumoto festival this summer and an opera, Beatrice and Benedict by Hector Berlioz, next year. But he said changing the festival's name did not signal other changes, such as his retirement. "That kind of thing is a trade secret," he said, to laughter. "The truth is that I have always been thinking of who might take over from me even from the time I began the festival years ago." Known for throwing his whole body into conducting, Ozawa drew mixed reviews from critics for his dramatic style, once injuring himself during a concert. But his style charmed audiences, especially in the US, where he spent nearly three decades as music director of the Boston Symphony Orchestra. Born in Manchuria in 1935, Ozawa first gained global attention by winning a competition in France and was later mentored by greats such as Herbert von Karajan and Leonard Bernstein. Ozawa played down his success. "I'm the complete opposite of a genius, I have always had to make effort. Until I fell ill I'd get up early and study for several hours every day." The conductor, of course, does not make a sound, but is responsible for every note heard. And it's said, for more than half a century, world-renowned Japanese conductor Seiji Ozawa has transformed orchestras and transfixed audiences. A genius? Well, not if you ask him. It's just hard work, reports CBS News correspondent Seth Doane. Throughout most of his career he was up by 4 or 5 a.m. reading music. Even on the day CBS News met with him, at the age of 80 he'd been studying a Puccini opera. "Because you cannot make telephone call to Puccini anymore, so you have to understand," Ozawa said. At his Tokyo home, he gave us a glimpse of the complexity a conductor sees on the sheet music. "This is the string part, this is the wind part, this is the percussion part," Ozawa described. "And you have to almost imagine what this all sounds like?" Doane asked. Rehearsal, he said, is the most important part. "If everything goes well, sometimes that happen, you know on stage, and with me -- that moment is unforgettable," Ozawa said. There have been countless such unforgettable "moments" in a career spanning six-decades which took him from Tokyo to Chicago, and onto Toronto and San Francisco. Then he spent 29-years in Boston as the music director of the Boston Symphony Orchestra. Hence, why he was wearing a Red Sox jacket at the interview. He also owns a gold lifetime pass to Major League Baseball. He showed us around his Tokyo neighborhood. At his favorite soba noodle shop, his picture is up on the wall next to some sumo wrestlers. "How did you balance your conducting with your love of sports?" Doane asked. "Boston Symphony is almost walking distance from Fenway baseball," Ozawa responded. "So end of a concert, I look at the television -- and usually, baseball is longer than concert so I ask Peppino, our driver, 'Okay, Peppino, let's go!' And then I go," he described. He would watch the last few innings at the field. It was his love of sport that changed his career, as pointed out by no less than President Obama at a White House event celebrating the Kennedy Center Honorees. "As a teenager in Tokyo, an aspiring classical pianist named Seiji Ozawa defied his mother's orders and joined a rugby match. Now, I have to say, looking at you Seiji, I'm not sure that was a good idea," President Obama said. "I mean, I don't know much about rugby. He broke two fingers, and that put an end to his piano-playing career... But fortunately, for the rest of us, it opened up the door to a career as a conductor." At a busy café, he told us it was his piano teacher who first suggested Ozawa become a conductor. "And those days, no television yet. So, I never saw orchestra. I never saw conductor. So, I did not know what to say," Ozawa recounted. By 1960, he was a fellow the prestigious Tanglewood Music Center in the Berkshires. Though he spoke very little English, he made quite an impression. His first New York Times review appeared that same summer. It said: "with his talent, exotic good looks, flair and choreographic ability, Mr. Ozawa is a young man who will go far." Fifty-five years later, a Tanglewood concert hall bears his name. He was born into a Japanese family in then-occupied China, or "Manchukuo," in present-day Shenyang. The working-class family moved back to Japan after the war. "I read you had to mow your teacher's lawn because you weren't paying for the classes -- is that true?" Doane asked. "That's right. No money, my house," Ozawa said. Many decades later, it was a fight with cancer and then a tumble this summer which kept him in Japan to recuperate with family. In September, he took the stage for a special 80th birthday concert, where he conducted in front of family and friends. "When you're conducting, you seem to be very expressive. You almost seem to speak with your eyes," Doane pointed out. "I think you're right... I was busy with piano and rugby, so I didn't speak. My English was zero," Ozawa said. "I tell you, my answer is because my language is so bad, I think when I conduct, I have to use gesture and eyes. Today he loves passing on his knowledge to the next generation and said kids make good audiences because you know right away if they're listening. After decades of conducting, he said his favorite piece of music is usually whatever he's studying at the moment. "I must...almost fall in love to this piece, otherwise a little too distance between piece and me. Not so good," Ozawa said. "Composer just left paper. ...And then when we play -- when orchestra play -- this become life... and to do that my energy must feel almost similar to the composer who wrote this." When it goes just right, he says, a symphony can make magic. His two loves -- sport and music -- can cut across boundaries, transcend language and unify. Both also require some talent and a lot of hard work. 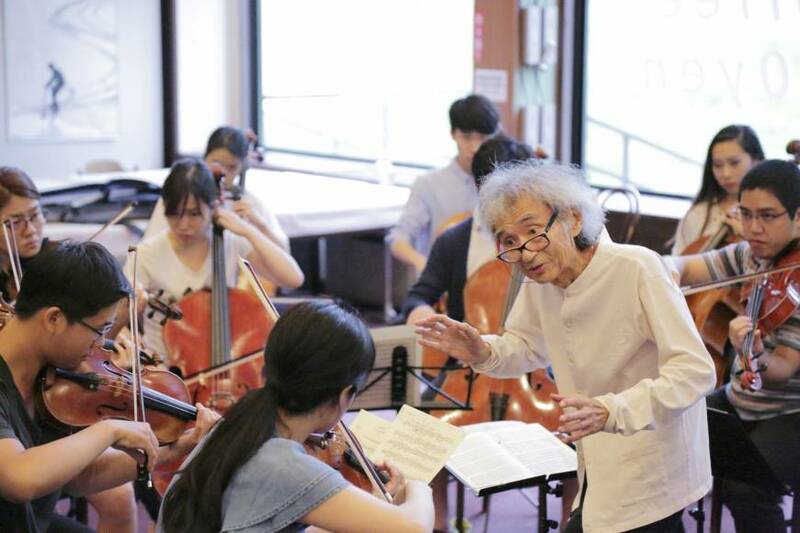 Many of the performances given by the Okushiga academy musicians in July were delivered by a quartet, and Ozawa stresses that such arrangements are educational in their own right. A simple string quartet consists of a first and second violin, a viola and a cello. Ozawa believes that string quartets allow budding musicians to learn the fundamentals of classical music, and that doesn’t apply specifically to string players. He learned this method from U.S. violinist Robert Mann, the 97-year-old founder of the Julliard String Quartet who visited him in Japan and Switzerland. Ozawa likens a quartet’s composition to a hymn that’s comprised of four different voices: soprano, alto, tenor and bass, with the alto and tenor generating the color of the sound. “Historically speaking, every composer from Haydn, Mozart and Beethoven to Tchaikovsky and Prokofiev composed their best work in quartets, paying close attention to the core harmonies in order to fit their own individual tastes,” Ozawa says. Looking back, Ozawa recalls that Saito often asked him to conduct a quartet and coach each of the four members together as part of his training as a conductor. “It was an unusual method,” he says, adding that it also taught him the importance of carefully reading the scores. “The scores display good information from the composers,” he says. Students from China, Taiwan and South Korea participated in the Okushiga academy, working closely with their Japanese peers in quartets to produce a high-quality ensemble that they would ultimately perform in a series of concerts in Nagano Prefecture and Tokyo. Six quartets played at the concerts, performing each piece of music with a deft mix of youthful energy and tension. The most memorable part of each concert, however, came at the finale, when the students performed together conducted by Ozawa. Ozawa’s commitment to making music was reflected in his facial expressions, which inspired each and every student to produce their finest performance. The result left the audiences spellbound. “Maestro Ozawa’s presence on stage alone inspires me,” 25-year-old violinist Reika Okura later tells me.